Negotiating religious diversity, as well as negotiating different forms and degrees of commitment to religious belief and identity, constitutes a major challenge for all societies. Recent developments such as the ‘de-secularisation’ of the world, the transformation and globalisation of religion and the attacks of September 11 have made religious claims and religious actors much more visible in the public sphere. This volume provides multiple perspectives on the processes through which religious communities create or defend their place in a given society, both in history and in our world today. 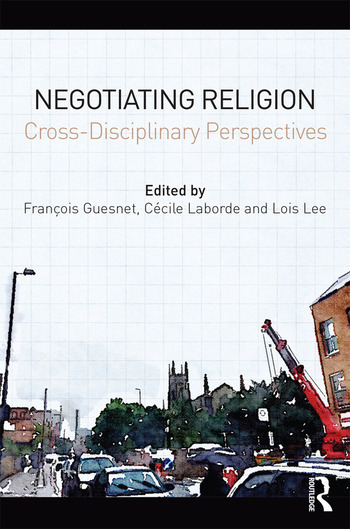 Offering a critical, cross-disciplinary investigation into processes of negotiating religion and religious diversity, the contributors present new insights on the meaning and substance of negotiation itself. This volume draws on diverse historical, sociological, geographic, legal and political theoretical approaches to take a close look at the religious and political agents involved in such processes as well as the political, social and cultural context in which they take place. Its focus on the European experiences that have shaped not only the history of ‘negotiating religion’ in this region but also around the world, provides new perspectives for critical inquiries into the way in which contemporary societies engage with religion. This study will be of interest to academics, lawyers and scholars in law and religion, sociology, politics and religious history. 6. Can there be a Public Reason of the Heart? François Guesnet is Reader in Modern Jewish History in the Department of Hebrew and Jewish Studies at University College London. He specialises in the early modern and nineteenth century history of Polish and eastern European Jewry. Most recently, he co-edited Antisemitism in an Era of Transition. Continuities and Impact in Post-Communist Poland and Hungary (Peter Lang Verlag, 2014, with Gwenyth Jones) and Warsaw. The Jewish Metropolis. Essays in Honor of the 75th Birthday of Professor Antony Polonsky (Brill Academic Publishers, 2015, with Glenn Dynner). Cécile Laborde is Professor of Political Theory and the Director of the Religion and Political Theory (RAPT) Centre at University College London. She has published widely on theories of law and the state, global justice, republicanism and secularism. Her last book is Critical Republicanism: The Hijab Controversy and Political Philosophy. Lois Lee is Research Associate at the Institute of Advanced Studies, UCL (University College London). She has published widely on nonreligion, secularism and religion and is the author of Recognizing the Non-religious: Reimagining the Secular (Oxford University Press, 2015), co-editor of Secularity and Non-Religion (Routledge, 2013) and of special issues for the Journal of Contemporary Religion (2012) and Religion (2014).